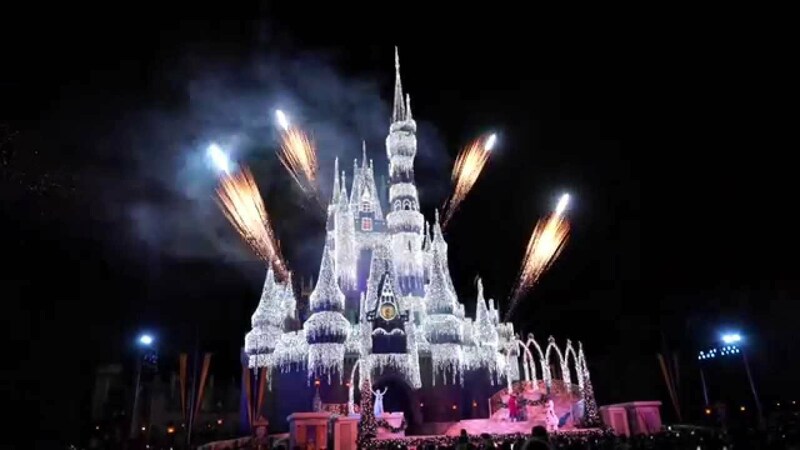 Nov 03, 2015 in "A Frozen Holiday Wish"
You might still be packing away the Halloween decor, but Disney has already moved on to the next holiday season. Christmas will be in full swing at the Magic Kingdom this week, with 'A Frozen Holiday Wish' returning tomorrow night, November 4 2015. 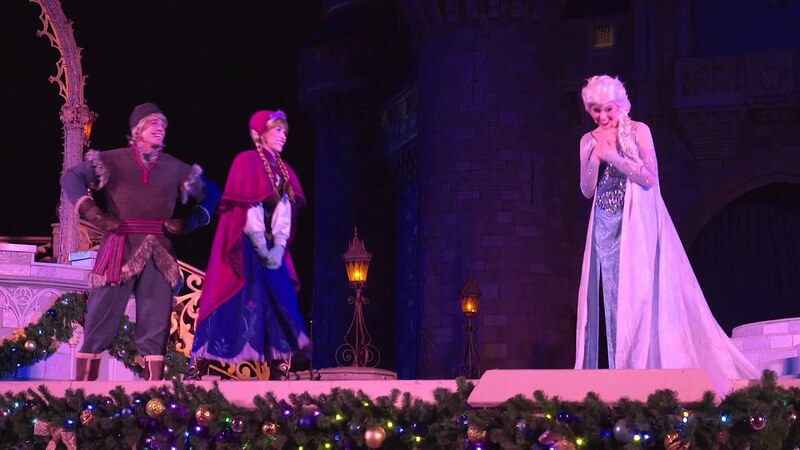 The hugely popular 10 minute show at Cinderella Castle features Anna, Elsa, Olaf and Kristoff, along with 200,000 LEDs that make up the castle dream lights. Check the times guide for specifics, but show times on regular park days will typically be 6:15pm and a second later show. On Mickey's Very Merry Christmas Party nights, show times are 6:15pm and 8pm.